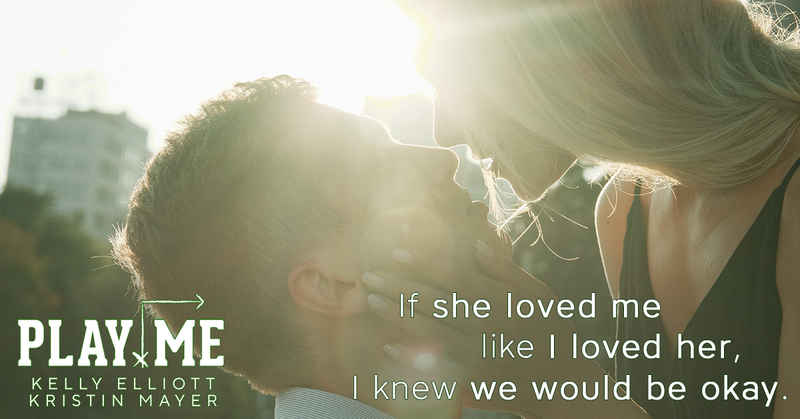 Recently, I have been super diligent when it comes to star ratings, so for me to give a 5 star review says so much about Play Me by Kelly Elliott and Kristin Mayer. This book collaboration is pure magic, it blew my expectations out of the water. I was expecting to go in, and get bored with the football lingo real fast. What this duo of authors created, is anything but boring. Yes, this story revolves around the football aspect, but that literally is just a blip in what this story is all about. Play Me is absolutely everything I want in a story. Honestly, it romanced the heck out of me. The witty banter, the jokes ( still laughing about this ) ,the undeniable chemistry, the core of the families, the determination, heck I could go on and on about all the reasons this book melts me into a puddle of goo. You can tell this light-hearted Rom-Com was written by two authors that are so intuned with one another, and that sincerely shows. I can not wait to see what this collaboration does in the future because they are pure gold. Kendall, Kendall, Kendall. She is without a doubt my spirit animal. Her work ethic knows no bounds, her personality is strong and hilarious, serious and kind, forgiving and compassionate. Her family values are set so high, that even I could learn a thing or two. Shes a city girl, with a heart bred from the country. Hunter Owen. I am just going to go ahead a call dibs before others have the chance. He is that guy that I could easily fall in love with ( if he was real ). An easy goring personality, with tattoos and chaps to match? Get the flip out of here. I can't even. He's a softy with strong determination to crush whatever he sets out to do. He is forgiving, and understanding with a humbleness that just seeps from his pores. He's a country boy, with the ability to live like a city slicker. *Do I recommend this book? ABSOLUTELY, WITHOUT A DOUBT! !